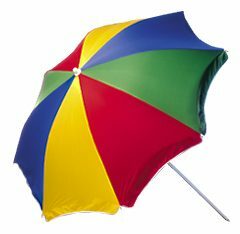 Umbrellas are not just for shielding the rain anymore! Do you entertain guests at your home? Do you drive long commutes? Do you have teenage drivers in your home? Do you have a swimming pool or lake access? If you answer yes to one of the above questions…then you may need to shield your personal assets (home, retirement/savings/investment funds, future earnings) from judgments. One of my insurance companies shared this claim… a client’s son was driving a jeep and lost control of it. He struck an embankment and rolled the vehicle. As a result of this accident the passenger is a quadriplegic. Over a million dollars has been paid on this claim. Another claim that was shared…a guest in a home was struck in the eye with a water balloon. He sustained a detached retina and undergone surgery twice. Over a quarter of a million dollars has been paid. Umbrella policies provide an additional layer of protection for your personal assets. Starting at a coverage of 1 million, an umbrella will protect you against lawsuits from accidents that occur in your home, rental properties, automobiles, boats, and toys likes snowmobiles, 4-wheelers and dirt bikes.